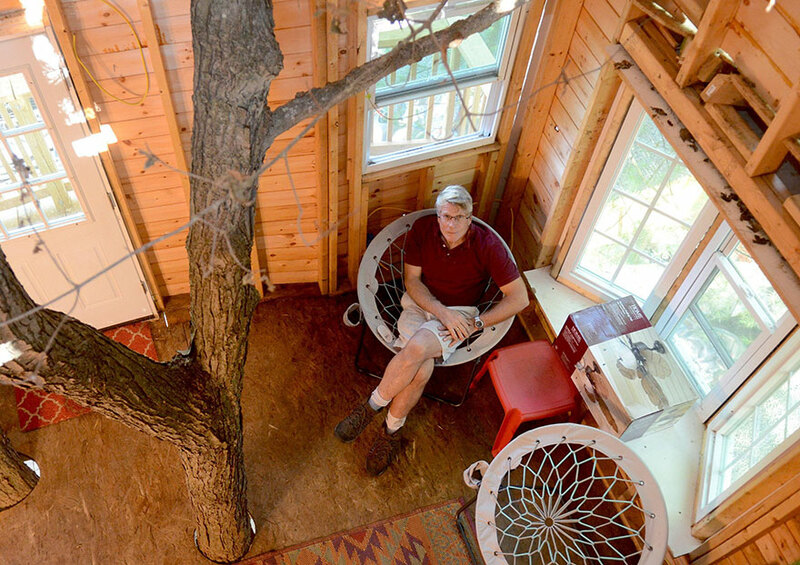 Jay Hewitt loved the small plywood treehouse that he had when he was little. He had some great memories there. 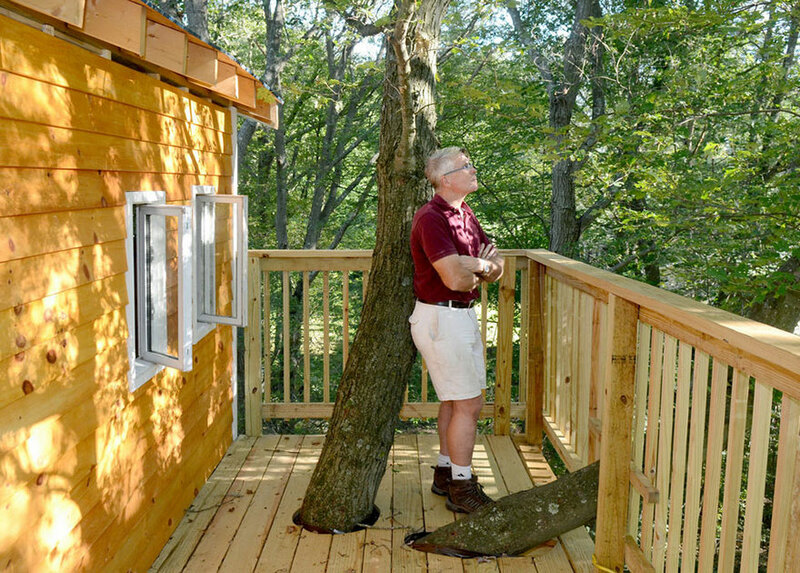 Eventually, he became a carpenter, a pretty good one. 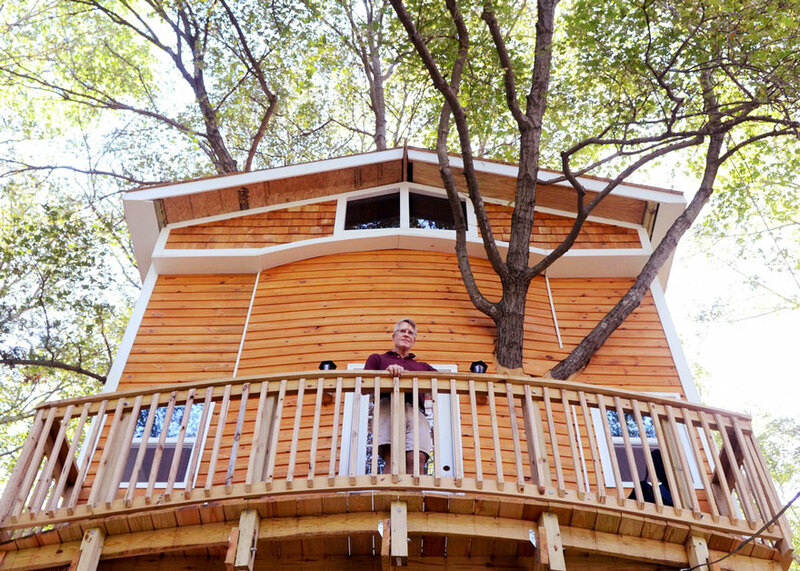 That helped him to create this wonderful 3 stories treehouse for his grandchildren, leading to something that we all must love. 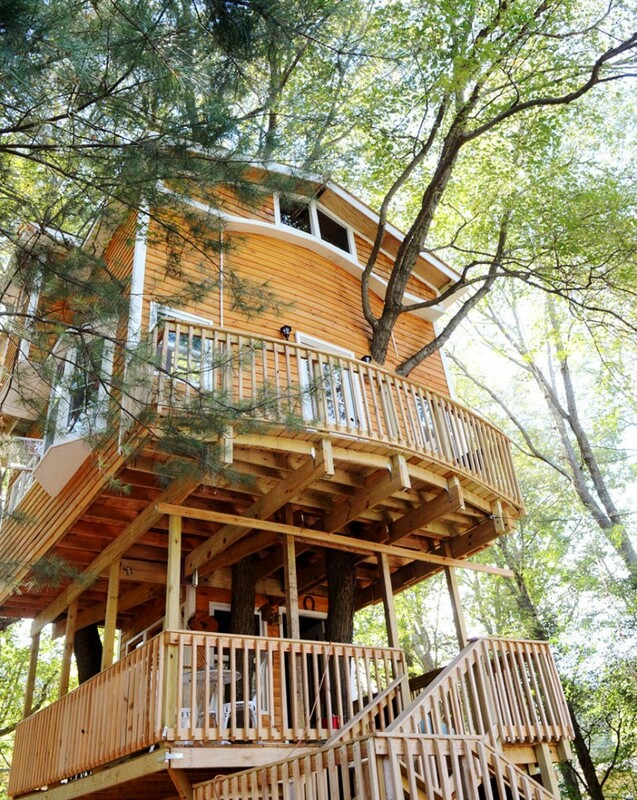 Would you believe someone that told you that there was a 40 feet tall, 3 stories treehouse right around the corner? Most likely not. 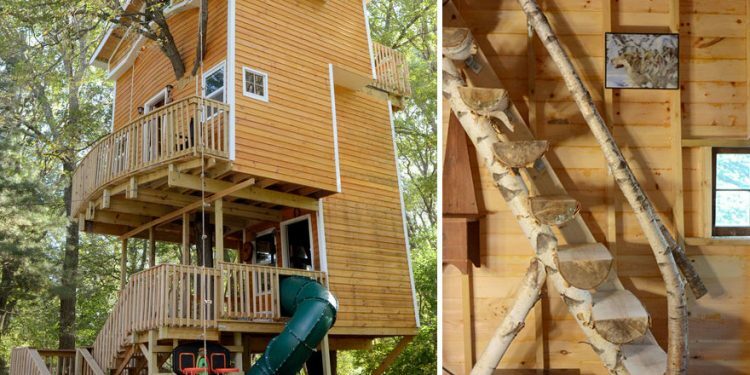 Well, how about if we added that there are stairs taking you everywhere and proper compartments for different activities like chilling and sleepovers. There is even a small balcony where you can watch the sunset. In case you were wondering, the house was built by Hewitt alone, over 2 years. There are also plans for expansions. It will be even more glamorous.